× Easter Hours: This year we are closed Good Friday and Easter Monday, and open Easter Saturday and Sunday. This stunning exhibition comprises a selection of artwork by members of the Pastel Artists of New Zealand. 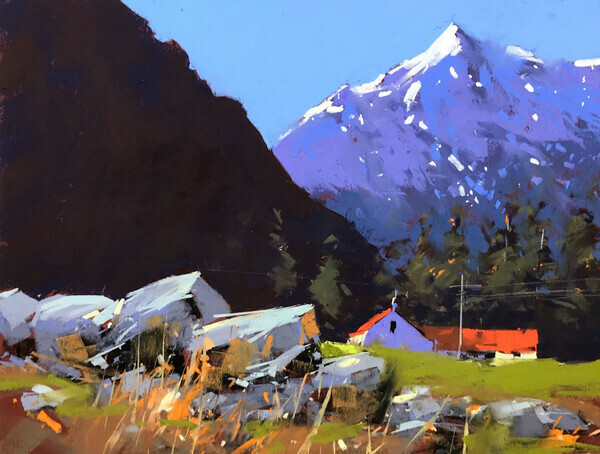 Pastel art groups are spread throughout the country, with artists encouraged to attend the PANZ conference each year alternating between North and South Island destinations. This year the three-day event is being held in Stratford. In conjunction with the conference, there is a national exhibition, Purely Pastel. This national exhibition at Percy Thomson Gallery features more than 80 selected works, as well as a section comprising precious award winners. The exhibition includes portraits, landscapes and contemporary work and explores the myriad of ways the medium can be utilised.